Nashville pop artist Tessa Violet is coming to Seattle, Portland, & more in September, including shows at Showbox SoDo on September 28th and Wonder Ballroom on September 29th. Tessa has recently announced her album Bad Ideas and released her new music video for the song “Crush.” For tickets and more information, click here. Tessa has amassed over 1.5 million followers and a collection of lyrically-driven songs to reflect her growth as a self-made musician. Using platforms like YouTube and Patreon, she built a platform with a nimbleness that continues to drive her career as an artist and creator. Before it became a catchy “grassroots marketing” skill, Tessa was leading a budding generation who were online to connect with each other, even if they were half a world away. She now is one of the flagship artists with Thematic, a creative exchange co-founded by Michelle Phan. 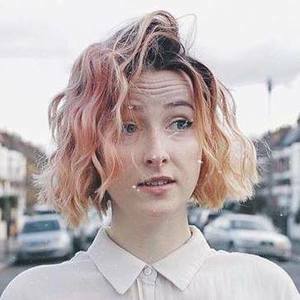 In her corner of wandering, a little Tessa Violet revolution has been happening. Her art is for fans who followed her online journey, created to let them reimagine what she’s learned about their worlds.